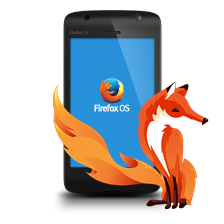 Firefox OS Simulator for Firefox OS 2.1 is an addon that work as a fully functional simulation for the Mozilla Firefox. It is very stable for experimenting Firefox OS applications. It can be used to test all kinds of Firefox apps. The file size of the add-on is quite large because it includes the default apps. As a result, it can take a few seconds for the Mozilla Firefox to load. You can run apps on the Firefox OS Simulator für Firefox OS 2.1 as soon as it is installed. The App Manager allows you to attach developer tools. With the Firefox OS Simulator für Firefox OS 2.1, you don’t have to use a real device to carry out testing on your Firefox application. It allows you to test your Firefox application in a window that has a similar size with the Firefox OS device. It supports the same user interface in the Firefox OS device. Many of the APIs have been simulated in the Firefox OS. There are a lot of new features in this version. This version allows you to test the inputs of the touchscreen efficiently. It also allow you to test the CSS formatting of the app. There is a connect button that you can click to connect this add to your test application. You will be able to check the bug issues of the test application. The simulator also features touch support for Firefox OS Interface Gaia. You can test mouse gestures and keyboard shortcuts with the test application. You can update the simulator app by clicking on the Ctrl + R button. If you hold down the Shift key consistently, it will clear away all the data including AppCache, and Storage Session IndexedDB. You can download some apps from the marketplace and test it on the Firefox OS simulator.